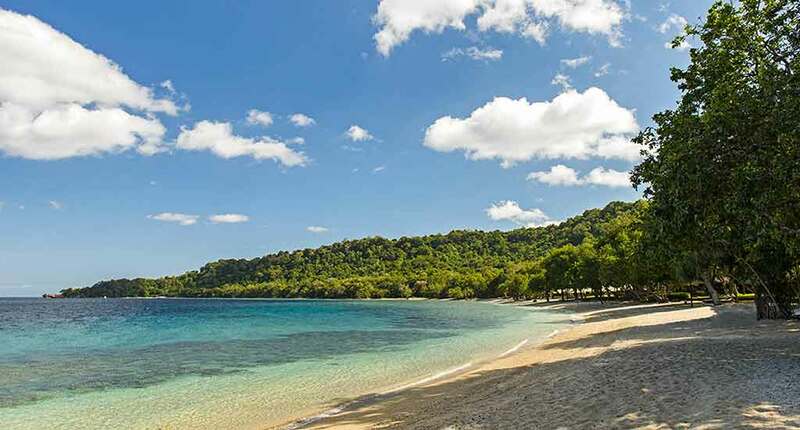 The Amanwana Moyo is the only resort on the remote island of Moyo. The entire island is a pristine nature reserve, as are its surrounding waters. Amanwana can be reached by float plane or by helicopter. The resort is extremely secluded, with nothing in sight except for the jungle, beach and the ocean. 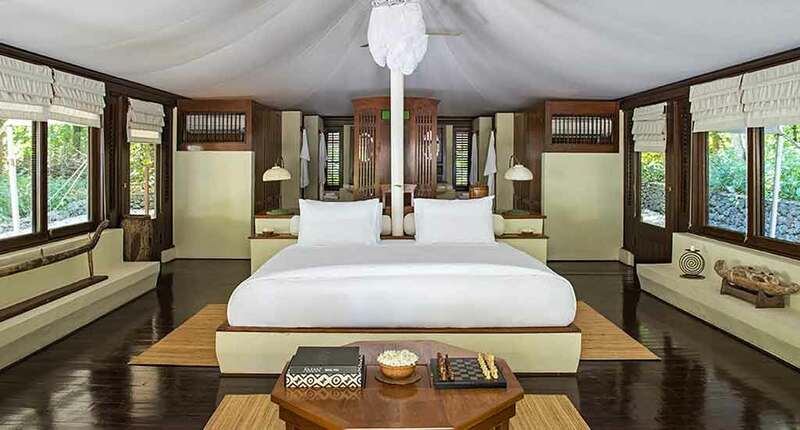 The Amanwana Moyo has 20 tents, gorgeous gardens, bamboo-roofed music pavilion, boutique, library with books, spa, pool and restaurant. 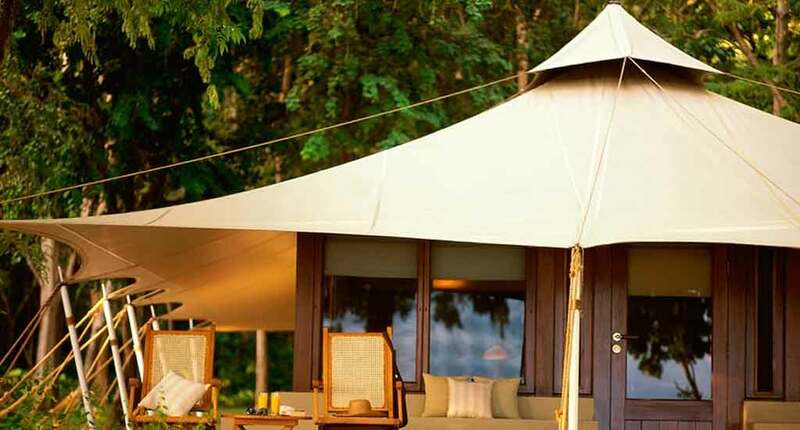 The secluded standalone tents are settled either under a canopy of tropical forest or near the beach. Coral stones surround the hard wood deck of the tent. 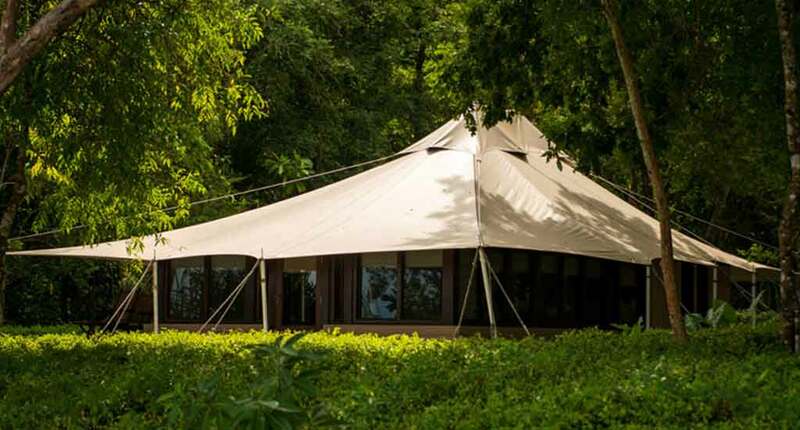 The tents are decorated with Indonesian artwork, hardwood flooring, a spacious sitting area with facing divans, a spacious king-sized bed, writing desk and large bathroom. The room features free Wi-Fi, air conditioning, and minibars. Round the clock room service is available. At Amanwana’s waterside jungle cove spa you can book a treatment in the open-air massage area, under the shade of date, fig and wild tamarind trees, sheltered by stone walls. 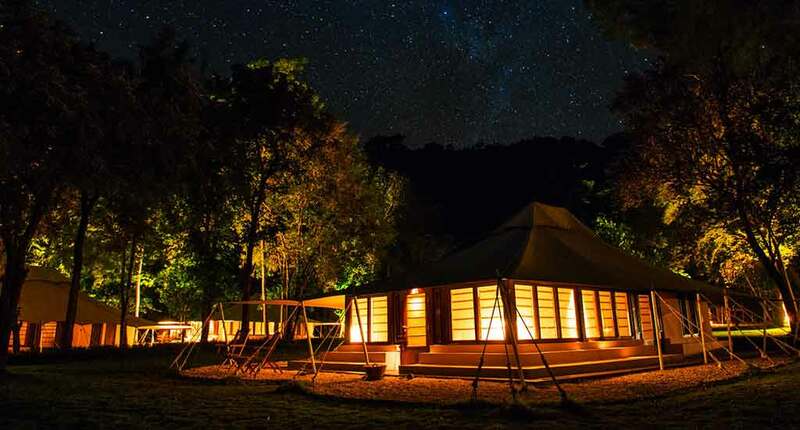 The spa tent offers Borneo body scrubs and Indonesian milk baths. The restaurant overlooks the Flores Sea and the mountains of Sumbawa, and it servers up an exotic mix of Asian and Western dishes. In this open-sided, bamboo-roofed pavilion, you can try the urap-urap (steamed veg with roasted coconut) or you can catch and eat your own meal on a fishing trip. The herbs and vegetables al come from the chef’s organic garden, and the catch of the day comes directly from the fishermen’s boats. The teak-top colonial modern bar situated near the restaurant will entice you to order a refreshing cocktail of mangoes and coconuts. Moreover the dive centre is very popular. It provides all the equipment you need, allowing you to access impressive diving spots from around the island. You can also go sailing, island cruising or fishing by using one of the many boats the resort owns. This includes outriggers, speedboats, catamarans and skiffs. A variety of guided treks and nature walks are available, with the chance to spot deer, wild boar, macaque monkeys, osprey and sea eagles. Walks start on the camp site and take you to the spring-fed waterfalls in the heart of the island and natural swimming pools. If you are more adventurous, you can go deep into the jungle and explore the bat cave. 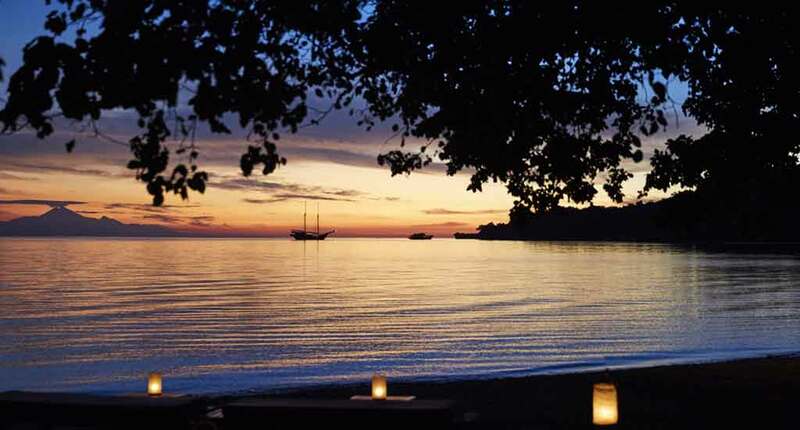 The Amanwana Moyo provides a nature-intensive experience, away from the hustle and bustle of the outside world. 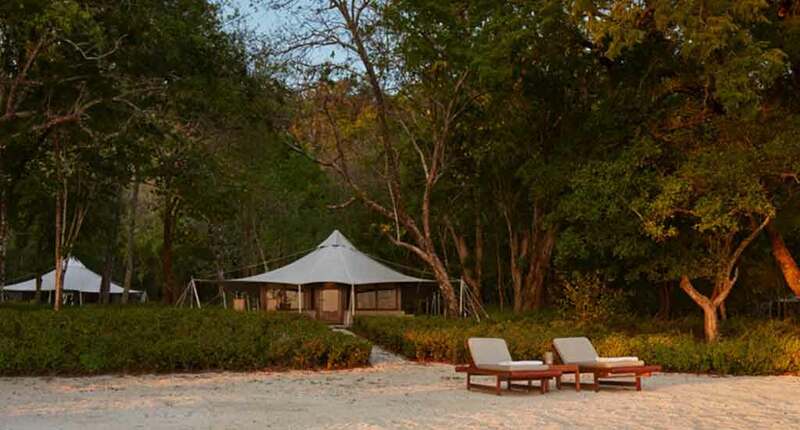 In the nature reserve of Moyo Island, there are no signs of human habitations apart from the collection of luxurious tents that make up the resort. Prepare to disconnect and get back to nature. Address: Pulau Moyo, Labuhan Badas, Labuan Aji, Sumbawa Barat, Kabupaten Sumbawa, Nusa Tenggara Bar. 84351, Indonesia.